Eau de Vie distilling in Morzine, Portes du Soleil! Morzines local distillery continues with tradition! If you have been to Morzine before you might have seen this strange contraption parked at various points in the town! 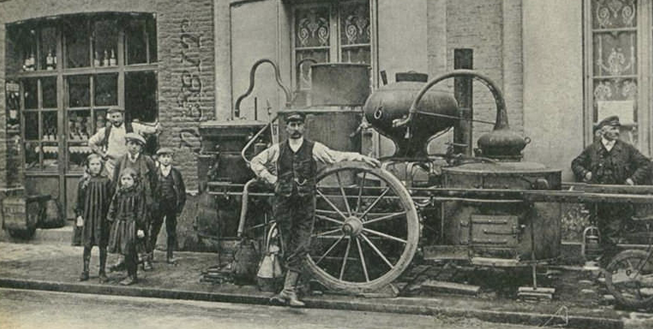 People gather around the truck with it’s bubbling vats, fuel and sawdust on the floor. But what is it for? 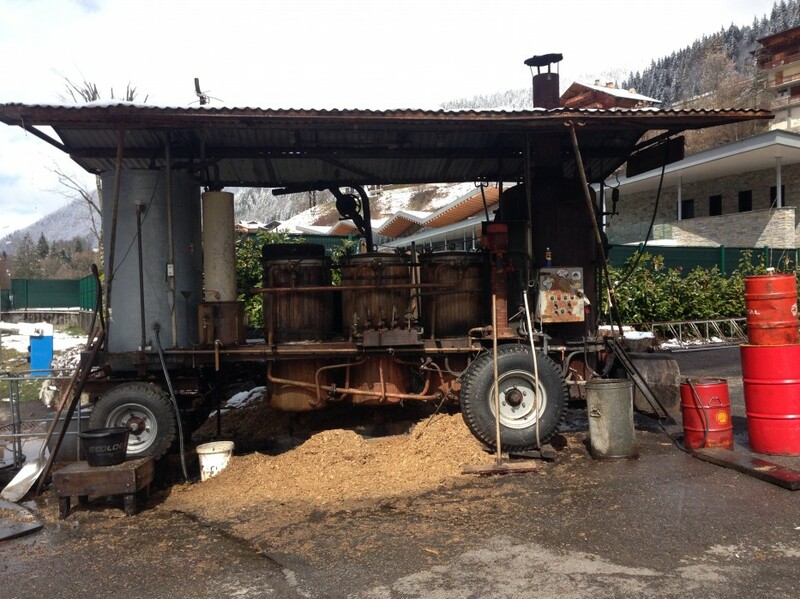 This interesting machine is a mobile distillery keeping a rural French tradition alive, distilling the fermented fruit from a select group of lucky locals’ into a local aperitif known as Eau de Vie (water of life). Being a distiller or a ‘Bouilleurs de cru’ is not a profession but a kind of status or privelige that is passed down over the years. Each distiller is given a ‘right to boil’ and in the past was given an allowance on the duty to be paid on alcohol allowing them to produce a certain amount of alocohol tax free, unfortunately now there is a heavy tax on the alcohol produced. Only people who are registered as having an orchard on their land are legally allowed to have their fruit distilled into Eau de Vie so you are likely to be turned away if you take down your bad of moldy apples! Unfortunately the distillers are a dying breed as due to a lobby in 1960 the privelige or ‘right to boil’ is no longer allowed to be passed down and therefore the tradition is dying out before our eyes. Part of the reason was to help quell the rise of alcoholism but was also pushed forward by large importers of alcohol and French commercial producers. So, next time you are in Morzine, make sure you take a picture if you see the local Bouilleurs de cru as once he is too old to produce Eau de Vie, we are not likely to see anyone take over. If you want to make a toast to our local distiller you can always swing by the bar at L’aubergade and try out some Eau de Vie!